On the Feast of the Circumcision of our Lord Jeus Christ, coinciding every year with the Commemoration of St. 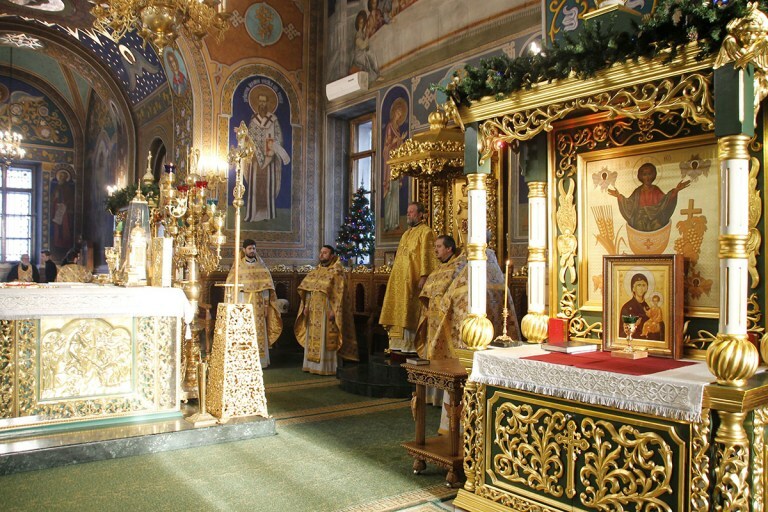 Basil the Great, the first hierarch of the Orthodox Church of Moldova celebrated Divine Liturgy in the Nativity of the Lord Cathedral in Chisinau. The significance of the Feast of the Lord’s Circumcision is that, in the light of the words of Jesus Christ, He came not to break the old Law, but to fulfil it. Lord Jesus, God Who became man, fulfilled the law, given to the Israel people, showing us that we also need to ascend to the likeness of God in our spirituality. The circumcision of the Old Testament was a fore-runner of baptismal in the New Testament, and a memory of this tradition is maintained in Christianity in the tradition of giving name to a baby on the 8th day after birth. Addressing a pastoral message to the liturgical community, Metropolitan Vladimir spoke about the significance of the day, mentioning also the immense contribution of St. Basil the Great to the systematization of Orthodox liturgical traditions and monastic rules, as well as the development of social work within the church.